Welcome to Tuesday and a new Sketch at Midnight Madness Sketch Challenge! 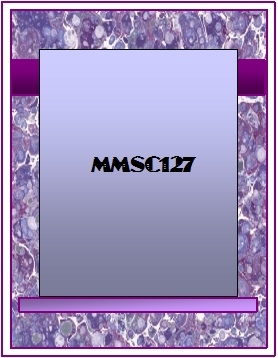 I'm SUPER excited about this challenge because MMSC127 is being sponsored by (yours truly) at House-Mouse & Friends Monday Challenge Blog, found--> HERE. 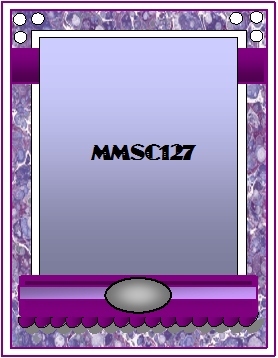 Remember that you can also to click on the sneak peek button on the MMSC side bar for the following week's sketch each Friday to give yourself more time to work on your sketches. the Midnight Madness Sketch Challenge Blog and House-Mouse & Friends Monday Challenge Blog. 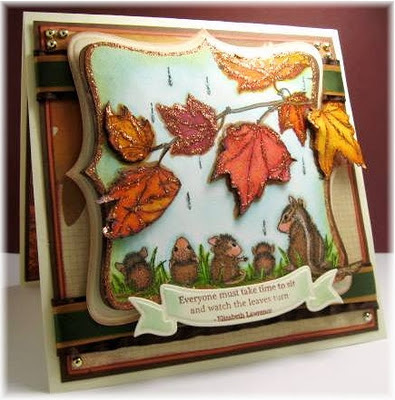 So follow the Midnight Madness Sketch and use a House-Mouse & Friends stamp to make a Fall themed card to enter it into both challenges for more chances to win!! 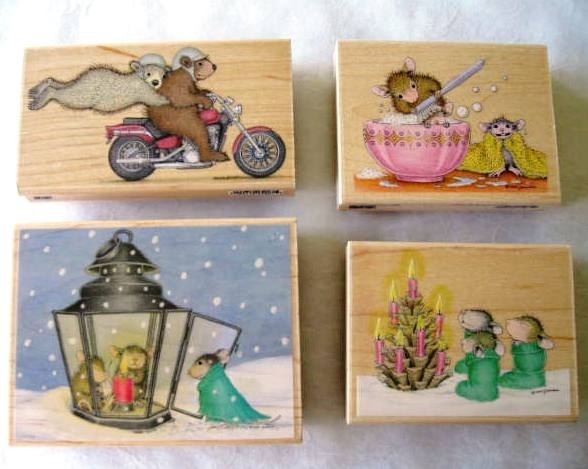 HURRY to PLAY ALONG this week BECAUSE ONE very lucky winner will receive ALL FOUR of these brand NEW House-Mouse & Friends Stamps from ME!!!! Isn't that a fun prize?? To get you inspired, stop by the Midnight Madness Sketch Challenge Blog to see the rest of Design Team's House-Mouse & Friends Creations with this sketch. To inspire your HM&F creativity even more, come visit the House-Mouse & Friends Monday Challenge TEAM to see their Mousie creations HERE!! Hope you will play along with us and join both Challenges! Thanks so much for stopping by!I really love hearing from you! GORGEOUS! So many beautiful layers, sparkle and that stamped image. How beautiful is that!!! Those leaves look awesome and real. What a darling stamp! Lots of cutting on this one, but makes all the difference in the world, so very pretty. Sentiment is so fitting and so very true. wow another gorgeous card america. like the leaves and the colours. What a wonderful card,I love the image and the colours. Fabulous card, love the image. Gorgeous ribbon and embellishments. How cute! Love the layers, the sparkle and your leaves are just awesome! Awesome card, America! Love this HM image and all the embellishments ~ too cahute! This is one wonderful card - I absolutely adore it!! Thanks for playing along with Heart 2 Heart but your link will be removed as all projects must include Close To My Heart products. Hi America! Wow what a fabulous fall card! Love your take on the sketch challenge!